Don't let the size fool you! 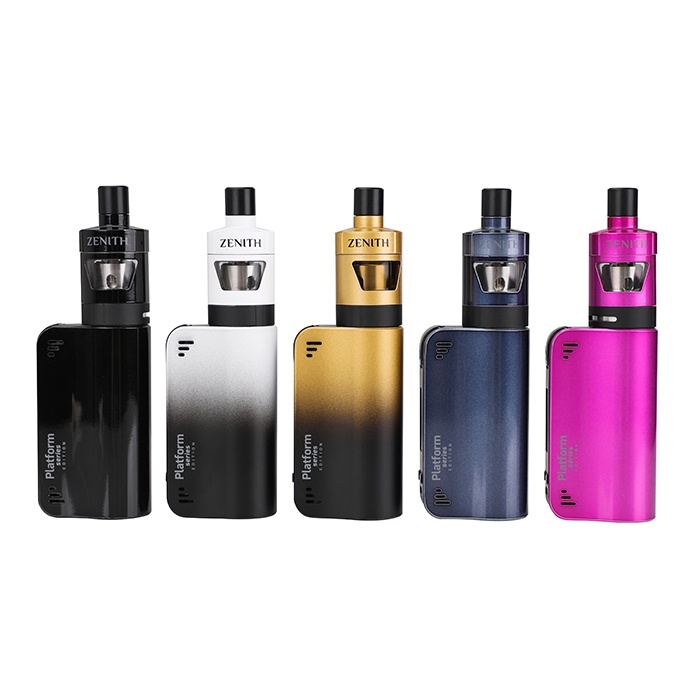 this tiny kit offers a great set of features including; 1300mAh internal battery, max output of 40 watts, advanced safety protection and ultra high-quality design. The all NEW Zenith D22 tank comes with Innokin's Plexus coil. The Pluxus coil range have changed the game - they offer amazing flavour and last longer than the competition between changes! Simply fill the awesome Zenith tank with your favourite flavoured e-liquid and away you go! Charged via the supplied USB cable which is compatible with a 1amp plug.